1. Difficulties with transitions--moving from class-to-class, topic-to-topic, beginning & ending of the school day, or change in routine. 2. Sensitivity to stimulus (sounds, lights, images, 'flashbacks', etc.) that interfere with organization and focus. 3. Issues with focus and concentration that impede organization skills for assignment completion and turning in work on time. 5. An inability to cope with social interactions in groups or fast-paced environments. 6. A significant difference between academics skills or learning styles. For example, a student may have superior math skills and poor reading skills. Or a student may have excellent auditory processing skills and deficiencies in visual processing. There is no "average" CLCA student since each student is uniquely made by our Savior with specific strengths and weaknesses as well as unique experiences and needs. Can Learn Christian Academy's staff has been trained to implement the S.M.A.R.T. (Stimulation, Maturity, Accelerated, Readiness, Training) program based out of Minnesota Learning Resource Center in Minneapolis MN. Students benefit from small classes, multilevel utilizing proven project-based and Direct Instruction. The level tier system is most efficient with no more then 20 students at which time another level is started. 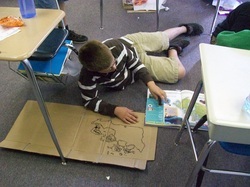 Students work at their developmental level. Lessons are challenging yet obtainable. Learning is accelerated; as one concept is master the next is introduced.